In 1965 the Swimming Pool Building was opened as the first structure in the east section of this complex. 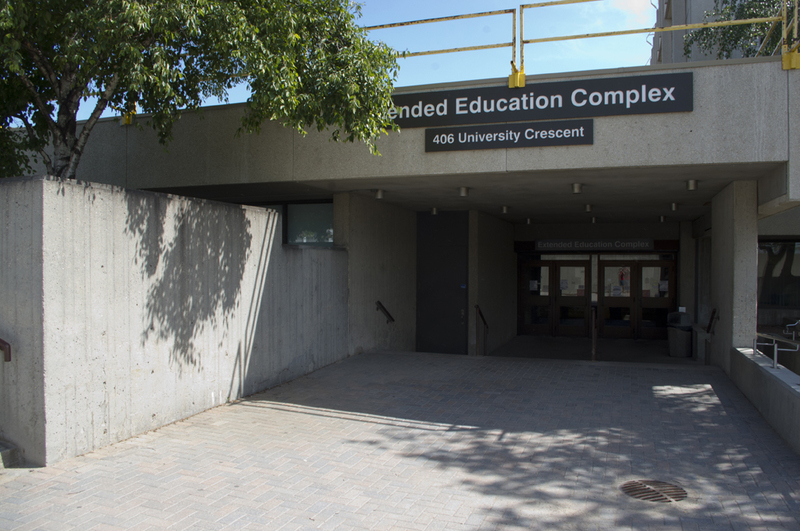 Intended to be the focal point of athletic activity on campus, the Frank Kennedy Centre is the first building to be encountered when driving east down Chancellor Matheson Road. 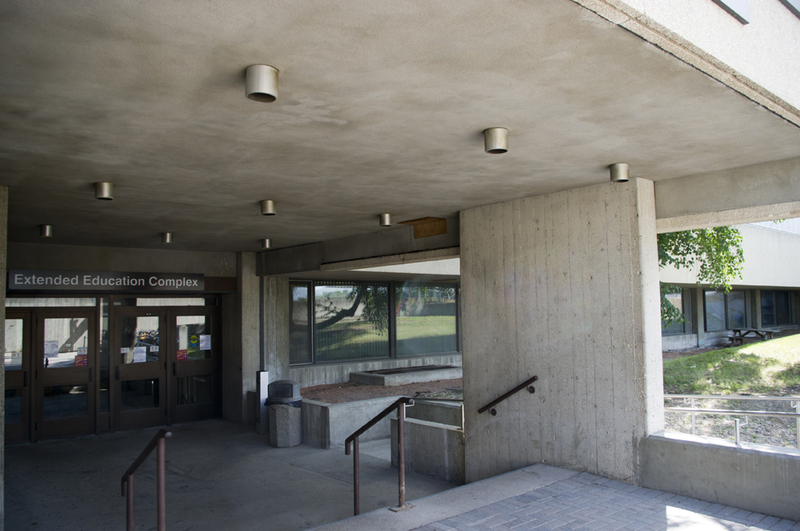 Similar to the design challenge of University Centre, it was considered a critical design requirement to maintain an unobstructed view to the portico of the Administration Building. In response to this desire, the complex was stretched out below grade to the north, in order to keep the building forms low. 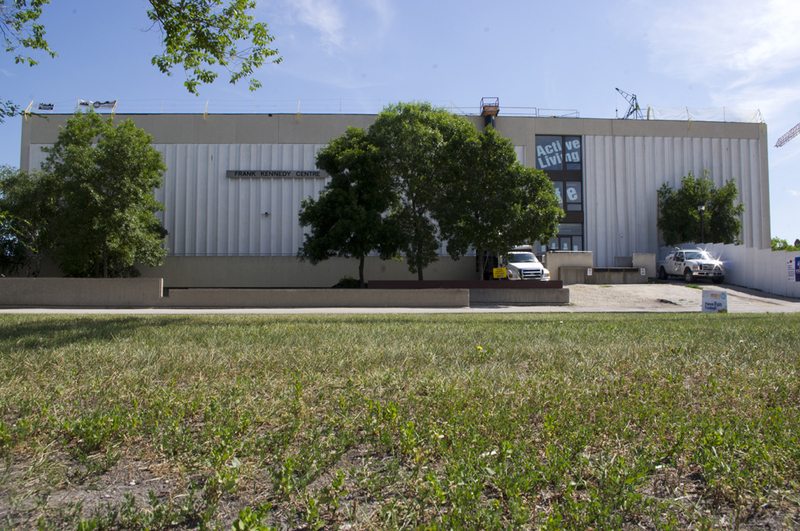 The requirement for a windowless gymnasium resulted in a composition of precast aggregate piers, filled with chocolate brown sheet steel siding on the north and south elevations. The sheet steel siding has since been replaced. Verticality is emphasized on the east and west sides through the arrangement of polished concrete panels on the exterior walls. 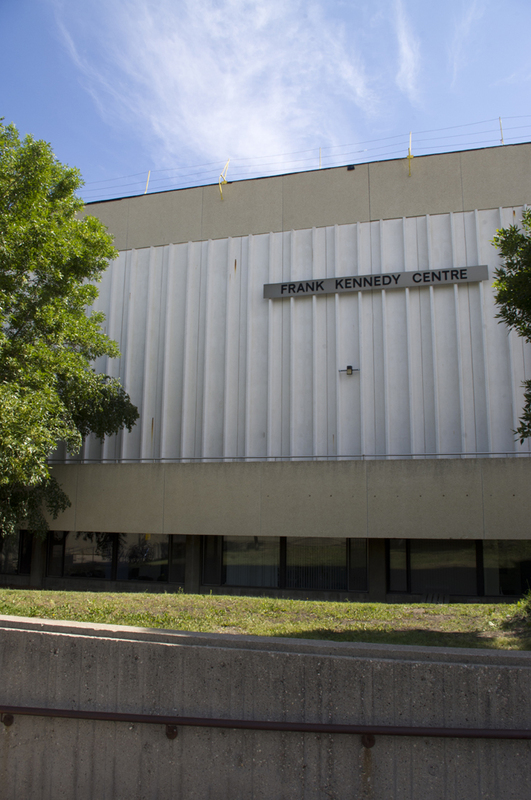 The Frank Kennedy Centre houses two large multi-purpose gymnasiums (70x120 ft. with 30 ft. ceilings), a gymnastics room (70x100 ft.), a dance studio (50x60 ft.), locker rooms, offices, classrooms and a 250-yard oval track in the crawl space of the structure. 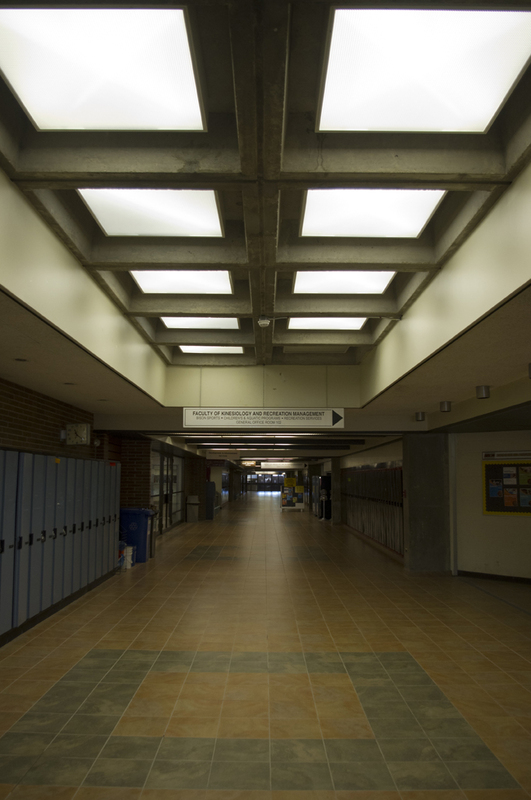 The complex includes a sky-lit wing of offices, classrooms, library and study halls.